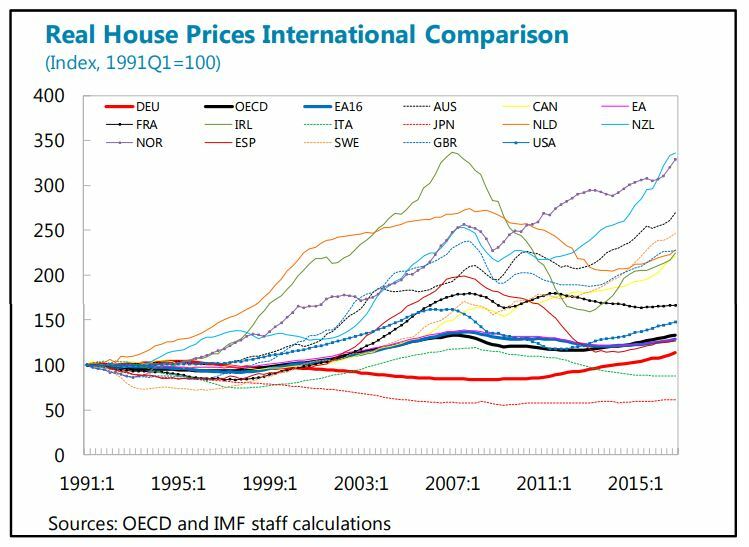 “At the aggregate level, housing affordability remains good, and price developments moderate in international comparison, but growing regional differences warrant close monitoring. House prices have continued to accelerate but their level remains moderate, as do various indicators of mortgage affordability (price-to-rent, price-to-income). However, the picture is different when regional developments are considered. While house prices continue to fall in some rural areas, price growth has reached double-digits in large cities and university towns. 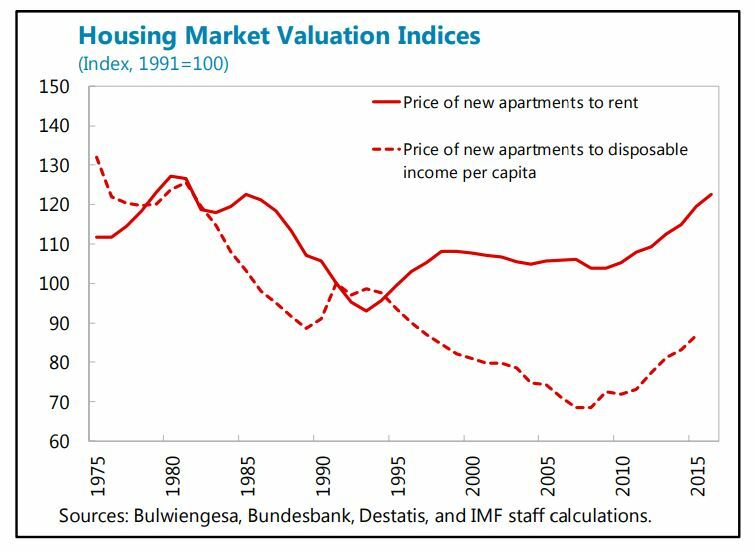 In certain urban areas, overvaluation may amount to 30 percent according to the Bundesbank’s latest estimates. While there is no comprehensive data available on regional mortgage growth, there is some anecdotal evidence of looser underwriting standards in some areas. Relaxing housing supply constraints would help mitigate price pressures. Last year the government adopted a package of measures to address supply shortages and improve affordability. The plan is progressing in coordination with local authorities and includes stepping up the sales of federally-owned land and properties below market price for affordable housing projects, more funds for social housing, and the promotion of building code harmonization. However, the authorities estimate that the supply of new housing units remained below demand in 2016. To significantly boost supply in the short term, these measures must be complemented by further encouragement for local authorities to relax zoning and height restrictions in areas under pressure. Lowering the effective transaction tax rate on new construction, as recommended by staff in the past, would also be helpful in this regard.